An $11 million verdict stemming from a claim of a defective vehicle resulting in a fatal crash was affirmed by the U.S. Court of Appeals for the Eighth Circuit. Among the plaintiffs were family members of decedents, as well as one of the drivers, who was originally convicted of vehicular homicide. That conviction was later vacated after the vehicle manufacturer began recalling vehicles for the same defect involved in this case – unintended acceleration. The three-judge panel ruled unanimously in favor of plaintiffs, who alleged the vehicle malfunctioned, leading to three deaths and the driver’s imprisonment. At trial two years ago, driver was found 40 percent at-fault and vehicle manufacturer deemed 60 percent at-fault. Total damages were set at $14 million, but that was reduced to $11 million based on damages obtained in previous settlements with other defendants. That $11 million will be divided among plaintiffs. The judges ruled unanimously there is enough evidence to make plausible plaintiff’s contention that the vehicle accelerated as he tried to apply the brakes while exiting the interstate. The vehicle rear-ended another car, killing that driver and his 6-year-old son and also severely injuring his father and daughter. His 6-year-old niece also was paralyzed and later died of her injuries. Occupants of defective vehicle were also injured. At trial, an attorney representing the driver of the faulty vehicle put forth evidence to show the cause of the unintended acceleration was that the pulleys in the accelerator control system became overheated and then stuck together. However, while vehicle manufacturer had recalled several similar vehicles for unintended acceleration, it had not specifically recalled this one. Attorneys for the company argued on appeal the trial court erred in allowing testimony from other witnesses who indicated their same make-and-model vehicle had also accelerated in much the same way because, the car manufacturer argued, the circumstances were different. The appeals court, however, said the circumstances were sufficiently similar and the trial court did not err in allowing that testimony. Further, the decision by the jurors was not based on mere speculation, but rather with the support of reasonable inferences made from factual evidence. Plaintiff who served two years in prison before his conviction was vacated said he wanted people to know all along he was not pressing the gas, but the brakes. County prosecutors decided after the conviction was vacated that he would not be retried. Vehicle defects have increasingly been an issue in car accident litigation. In fact, 2015 was a record year for U.S. vehicle recalls – over 51 million vehicles affected by some 870 separate recalls. 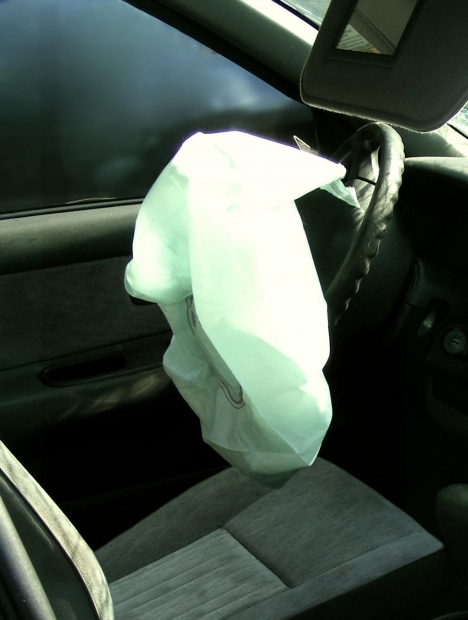 One prime example is what we have seen with the defect of Takata’s defective airbags. The Japanese corporation recently announced it would be filing for bankruptcy after recalls of malfunctioning, exploding airbags that have killed at least 16 people and injured 180. Repairs are expected to continue taking place through the end of the decade, and people are still at-risk for exploding airbags. Product was used as intended. If you suspect a vehicle defect may have played a role in your injury, let us help you explore your legal options.